Music maverick, Charlie Boy, on Tuesday solicited the support of well meaning Nigerians for the rehabilitation of ailing musician, Majek Fashek, popularly known as the ‘Rain Maker’. 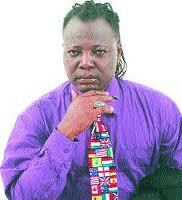 Charlie Boy, who spoke to newsmen in Abuja said that Majek Fashek, was an iconic artiste who should not be left in his present condition. “The worst thing we can do is stand and watch when we see someone struggling in agony, especially when their pain is self inflicted. “It is no longer news that the rain maker is a sorry shadow of himself plagued by issues larger than his self discipline. 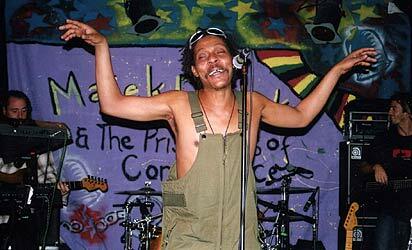 “Majek Fashek is our own; let’s see how we can heal our rain maker who needs all the love and understanding he can get right now. “I know quite a few well meaning Nigerians have contributed to his rehabilitation, but I still encourage others to help see the healing of this great musician become a reality. “It is our collective effort to help rehabilitate him as a social responsibility of fighting this hard drug menace that is wasting so many of our youths,” he said. Charlie Boy told pressmen that he decided to drum support for the ailing artiste because he once worked with him and he was such a huge talent that should not be abandoned. “I remember this very handsome man with a good heart and we had worked together a long time ago at the start of his beautiful but truncated music career. “He is a multi- talented artiste of international repute, whose hit rendition `Send down the Rain’ still does exactly that anytime it is played- sending the shivers down our spines. “It used to be my favorite song from his album, and till today, I can sing his lyrics many years after. “He brewed that song right in my studio in Oguta, in the seven months he spent with me there as an in-house producer. “He was so promising, so full of dreams that it breaks my heart to see him so degenerated and entirely disconnected today,” he lamented. Charlie Boy said that empathy would help someone better understand the present condition of the ‘rain maker’. “Looking at him now, I say to myself, it could have been me or any of us. “Some people are not so lucky to imbibe self discipline for things that are destructive to them, however, that doesn’t necessarily make those of us better human beings for being able to. “I know it can be a huge heartache watching someone you love struggle with an addiction or have a mental illness but the good news is that it is curable. “When we show more love as parents, friends, associates, spouses, brothers or sisters, we help the people going through this struggle feel good about themselves,” he said.